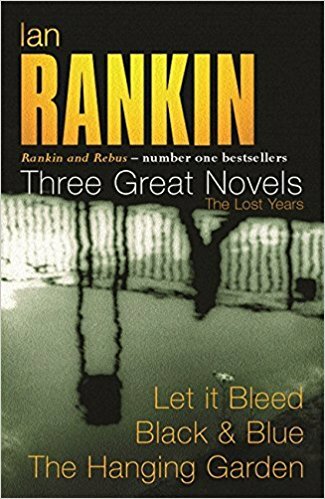 Let it Bleed is the seventh instalment in the John Rebus police procedurals from Ian Rankin. Rebus has broken up with his girlfriend Dr Patience Aitken and his daughter Sammy now has a job of her own that he has now entered into the ‘nothing to lose in life’ phase. It starts with a car chase by Rebus and his superior, Frank Lauderdale, going behind the alleged kidnappers of the daughter of the Lord Provost. However, things turn as the police end up in a terrible car crash with Lauderdale being severely injured and Rebus escaping with a few bruises but the two alleged kidnappers committed suicide by jumping off the bridge. Add to that, while Rebus was recovering, there was one more suicide, with a man shooting himself in front of councillor Tom Gillespie during the surgery. Rebus is to prepare a report on the suicides but he isn’t entirely convinced that it was a mere suicide – he had a fundamental question – why did he need the councillor for a witness for his suicide? Everyone, including Rebus’ superiors were keen that he just closes the case with a simple suicide report, just that he refuses to budge. Rebus substantially acts alone in this book, considering the trouble that he brings about in investigating powerful politicians, his superiors force him to go on a leave. He takes the occasional help from the two detectives under him, being Siobhan Clarke and Brian Holmes. He takes on the most powerful people in Scotland in this book, while uncovering the mystery behind these suicides, these include politicians and corporates and the nexus between them. Rebus, strangely is also on the opposite positions as against his daughter – who now has a job which involves interacting and rehabilitating prisoners and is often in contact with felons whom her father investigates. This was also the book where I could see Rebus the most. He has always been the tour guide for the readers for Edinburgh. Here, in his ‘nothing to lose’ attitude, he was being equally snide and sarcastic with his superiors – Gill Templer and ‘Farmer’ Watson as well as the top politicians of the country. Moreover, Rebus’ moral convictions were brought out the most in this book wherein, he decided to go till the very end for what he believed was right but was also in dilemma as to proceed with his investigation as it could happen that if he did, a lot of ordinary people might be affected. The author also managed to bring a lot of aspects into the plot involving characters from all sections of the society, the working class, the corporate, the politicians and the civil servants. This was also one of the Rebus novels where there was no distinct sub-plot and every page of the page-turner was connected to the main plot. In fact, there was no murder in the novel for a substantial part of the novel and was in fact, a mere suicide investigation, another point of difference between the usual books and the current book. True to any other book of this genre though, this book was not entirely free from loose ends but I am willing to ignore those innocuous gaps considering the overall plot. 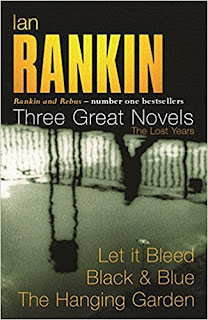 On the whole, one could say that this is the book where we could witness and experience Rebus’ evolution as character the most, the author’s witty dialogue crafting augmenting the brilliance of the plot, this certainly is one of the best books of the genre I have read so far and the best book from the author that I have read thus far. Considering all of the above, I award this book a rating of nine on ten.